Discover a new African Dawn. A bright new light rising over the land of a thousand hills. From vast lakes to savannah plains and limitless hills and valleys in between. Rwanda boasts a stunning diversity of natural attractions as well as a rich culture. 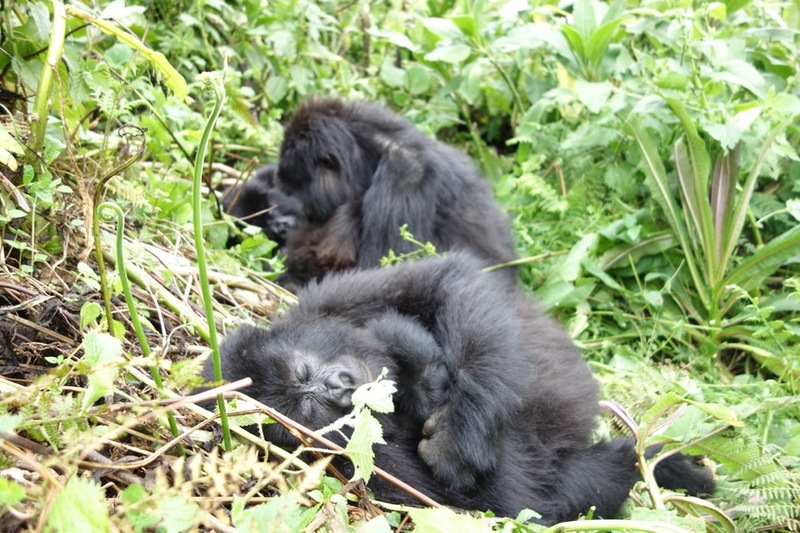 Sharing time with a Mountain Gorilla is an extraordinary experience. It is fitting that Rwanda is one of only two countries where Gorilla Tracking is currently possible. Rwanda is beyond your imagination but not beyond your reach. Since the early eighties, Rwanda has featured in Wildlife Explorer’s history and it is with not just a little excitement that in June 2003 we re-established our links with this beautiful country to recommence safaris in the mountains and lakes of what is rightly referred to as little Switzerland. Rwanda boasts the longest habituation project for the endangered Mountain Gorilla (Gorilla, Gorilla Beringei) with 5 separate gorilla groups habituated to date and a healthy indication that conservation efforts are paying off in terms of protection for these gentle giants. In addition to tracking for Mountain Gorillas there are a number of additional activities that can be incorporated into a safari such as activities on Lake Kivu, Mountain Biking and cultural exploration at the museum in Butare. Ready to start planning your epic Rwandan adventure? We can't wait to hear from you!